Starwood Hotels & Resorts will open its first Westin hotel in Egypt's Red Sea Riviera later this year. The American hotel and leisure company has struck a deal with Cascades Hotel Company Soma Bay to convert the existing La Residence Des Cascade to the Westin Soma Bay Golf Resort & Spa by July. 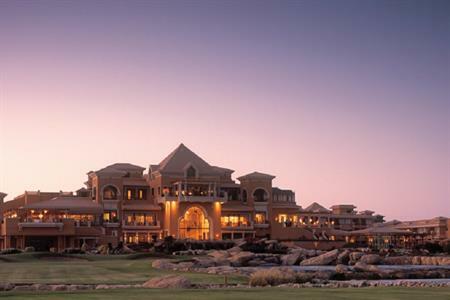 Positioned on the highest point of the Soma Bay peninsula, the resort features a 18-hole championship golf course designed by Gary Player and a large Spa and Thalasso centre. When complete, the Westin Soma Bay will offer 210 bedrooms, 39 suites and seven restaurants. "Westin is enjoying phenomenal global growth due to the success of its distinctive wellness positioning, innovative products and brand-led programs," said Hassan Ahdab, regional vice president of Africa & Indian Ocean, Starwood Hotels & Resorts. Chairman of The Cascades Hotel Company Soma Bay, Samer Yaghnam, commented: "We are pleased to be entering into this agreement with Starwood with whom we’ve had a long-term successful relationship through the Sheraton Soma Bay. Bringing the high-quality Westin brand to this area will further enhance Soma Bay’s position as the leading resort development on the Red Sea." Starwood’s portfolio in Egypt includes 11 hotels under its Sheraton and Le Méridien brands, including Sheraton Soma Bay Resort at the Red Sea. In the capital Cairo, Starwood operates Le Méridien Heliopolis, Le Méridien Pyramids, and Le Méridien Cairo Airport. The company also manages Le Méridien Dahab in South Sinai, Sheraton Sharm El Sheikh, Sheraton Miramar Resort El Gouna and Sheraton Dreamland. The company will re-open Sheraton Cairo Hotel & Casino later this year following an extensive renovation and will also introduce a new luxury brand into the capital with The St Regis Cairo in 2016.